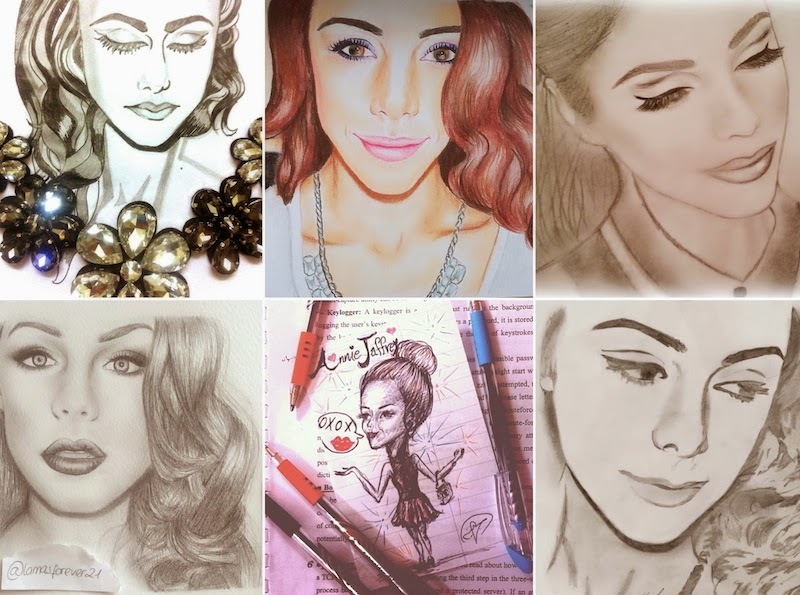 I get so excited when I see your beautiful drawings, it makes me so happy. I love art, and to see art created from one of my pictures is surreal. You are all so talented. So I decided to create a seperate page dedicated to all your beautiful drawings. The page is called "Fan Artwork", and it's located on the upper right corner of my blog. Thank you guys again! I love you! Love these drawings! Those ladies are talented! Want to read happy blogposts? Hey, i wish you could do a post about decoration (inspirational pics of the decoration style you like etc. ), and link list youtubers/bloggers who you get inspired by! :) also would be nice to hear your favourite songs atm.